It all started back in 1986. I was nine years old, and The Monkees were having their big revival tour, complete with old TV episodes re-run on Nickelodeon. I fell instantly in love. I watched every single episode I could and immediately ran out to the record store (remember those?) and bought every single cassette tape I could find. I soon became one of the biggest Monkees fans ever. Fast forward a year or so…In addition to being a big Monkees fan, I was also a huge book nerd – and an avid writer. One day, I was listening to Mike Nesmith sing, “The Kind of Girl I Could Love”, and my warped young brain took that song lyric and turned it into “The Kind of Girl I Could Murder”. Just like that, I had (what I thought) was a great story idea. So I wrote it. The first incarnation of that tale (printed out from my parents’ old Apple IIe on dot matrix printer paper) is long since lost in the dark recesses of my parents’ basement (or maybe it’s languishing in a landfill somewhere. Who knows?). But the original story idea stayed with me. For years. Twenty years later, I heard about Nanowrimo and I read Chris Baty’s book, NO PLOT? NO PROBLEM! Being the kind of warped individual that I am, I thought: ‘I can do this. I can write a book in 30 days. Why not?’ So I took that original story idea of THE KIND OF GIRL I COULD MURDER, plotted out some scenes, and started writing. Thirty days later, I had an almost completed novel. I edited it and added some things and, in a few months, I had (what I thought) was a pretty darn good Christian thriller. It’s mainly a CHRISTIAN thriller because the MC is a Christian (and she’s a very committed one). I tried shopping it around to different publishing companies (not even agents – I went straight for the publishing companies). But I didn’t have much luck. I got impatient to see that thing in print (even though I was probably going about things the wrong way). And then I found out about Lulu.com (this was in 2007, and Amazon hadn’t quite developed CreateSpace). I uploaded my book, bought a few dozen copies, and called myself a published author. Five years later, I decided to switch my Lulu to Amazon, to join the digital book revolution. And, a year after that, I finally figured out what the heck I’m supposed to be doing as an indie author of both print and digital books. Well…at least, I now know more than I did then…way back when. So. That’s the full “story behind the story” for SHADOWS OF THINGS TO COME, and it’s really the story of how I became an indie author. I was driven by more own impatience to have a book in hand. Life as an indie author certainly is not easy, but it’s well worth it. I’m glad I gave it a try! Want to see more? 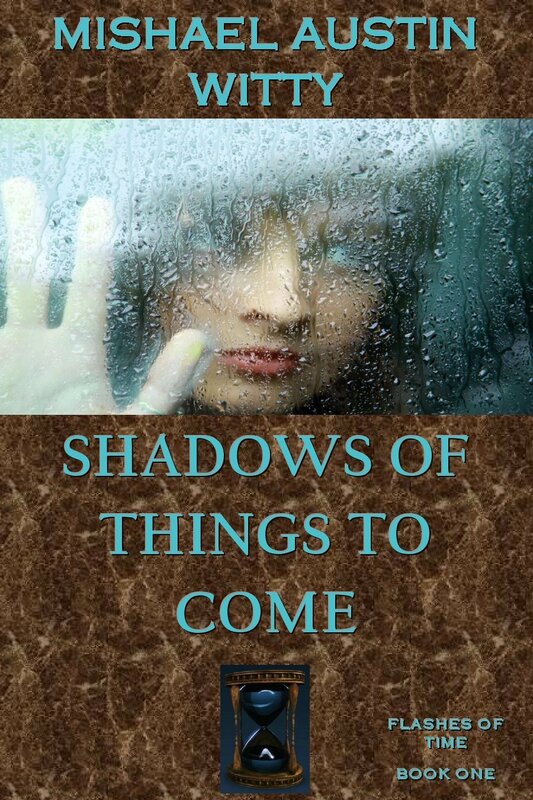 Check out my SHADOWS OF THINGS TO COME book page. There you can read the whole first chapter of the book and watch the awesome book trailer I created using Animoto. Can’t wait? No problem! You can buy the book on Amazon right now in either ebook ($2.99) or paperback ($8.75) form. Thanks so much! Happy reading.